Figure 1: Propaganda materials rehearsing the curability of tuberculosis are produced by a variety of institutional actors across India. From left to right: poster from Christian Medical College, Vellore (accessed via US National Library of Medicine); logo from Government of India’s Revised National Tuberculosis Control Programme (RNTCP); and poster from a series developed by the Indian Development Foundation, an NGO. But what if it isn’t? Figure 2: Clippings from Indian newspaper reports on the emergence of totally drug-resistant strains of tuberculosis in India. What would it mean to awaken to a post-antibiotic future, to a world in which the promise of cure has come undone? In December of 2011, a two-page letter appearing in the journal Clinical Infectious Diseases threatened to rouse even the deepest of sleepers from their reverie. In the letter, Dr. Zarir Udwadia and his team at Mumbai’s P.D. 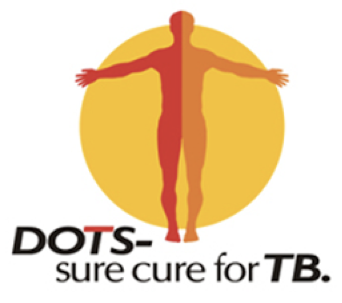 Hinduja Hospital announced that they had identified the first cases of totally drug-resistant tuberculosis in India. 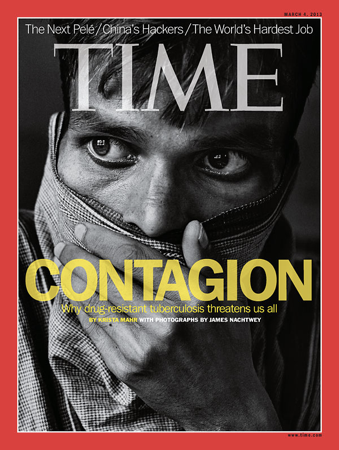 Figure 3: Time Magazine cover from March 2013. Photo of Indian tuberculosis patient taken by James Nacthwey. Indeed, the idea of India as an exporter of disease is nothing new. As far back as the 1860s, commercial interests clashed with epidemic fears in debates about the mandatory inspection and quarantine of ships setting sail from India. More recently, we can hear this threat reverberate in the quarrel between the Indian National Center for Disease Control and The Lancet over the naming of a highly-mobile “superbug” after the city of New Delhi. With regard to tuberculosis specifically, we might consider the case of an Indian woman who was found to be carrying an extensively drug-resistant strain of the disease while visiting relatives across the United States in 2015. The fact that resistance spills over geopolitical borders means that an India after antibiotics might easily cascade into a post-antibiotic world. Similar to the promise of cure, the threat of resistance opens up an uncertain temporality of anticipation and trepidation, of speculative futures that may or may not come to pass. Such futures have been long in the making. In particular, the history of drug resistance in India stretches back to the country’s first antibiotic trials in 1950s Madras (now Chennai). These trials produced a subset of drug-resistant patients, but the story that carried the day was that a combination of antibiotics provided on an out-patient basis constituted a self-sufficient mode of therapeutic intervention. Those minor voices that preached forbearance failed to dampen the enthusiasm surrounding this new class of drugs. A disease that had plagued humanity since antiquity might finally, it was thought, be put to rest. Udwadia first encountered resistance at the Parsee General Hospital in Mumbai. It was the early ‘90s, and the patient was an 18-year-old man suffering from hemophilia, hepatitis B and drug-resistant tuberculosis. “We threw everything possible at him,” Udwadia told me. Despite his best efforts, the patient died from exsanguinating hemoptysis: coughing up blood. Prior to the consolidation of antibiotic treatment, the bloody cough was a widely-recognized sign of tuberculosis. Figure 4: In the 1961 Tamil film Paalum Pazhamum (Milk & Fruit), a devoted wife, nurse and research assistant played by Saroja Devi coughs up blood onto her husband’s white shirt, causing him to put aside his cancer research in order to focus on finding a cure for tuberculosis. As Udwadia reminded me, it had also been “the usual cause of death” among tuberculosis sufferers. In the wake of resistance, historical signs of the fatality of tuberculosis were returning. In both symptom and symbol, an India after antibiotics might well begin to resemble an India before antibiotics. 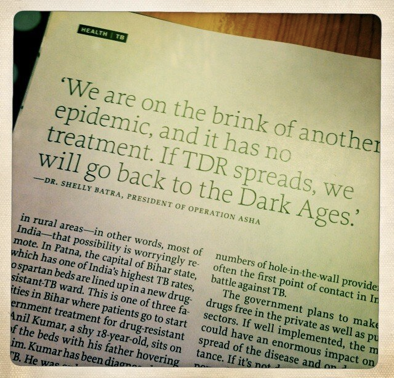 I asked Udwadia whether, at the time, anyone had been talking about drug-resistant tuberculosis in India. “It wasn’t seen as a big problem,” he responded. “Which makes you wonder, doesn’t it? Whether the treatment we’ve been getting today has in a sense contributed to this. It didn’t suddenly just come out of nowhere. It was always there, but it was not recognized. What I think really stirred things up is when we gave this moniker of TDR – total drug resistance – to four patients we saw rolling into this very room. These patients were resistant to all the drugs that our lab could test”. 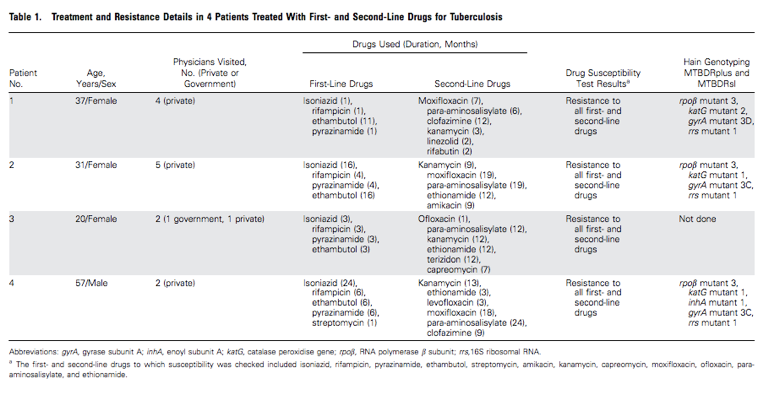 Figure 5: Table enumerating the many drugs to which the patients described in the letter to Clinical Infectious Diseases were resistant. Udwadia’s letter rattled a hornet’s nest in the Ministry of Health, which dispatched a fact-finding mission to Mumbai. In their report, the team noted that many of these antibiotics lacked standardized resistance tests and that TDR was not a recognized classification. According to Udwadia, government officials demanded that he rescind the letter. He refused. The sociologist Michael Löwy draws attention to a sentence from an early draft of Walter Benjamin’s theses on history: “This concept [of the present] creates a connection between the writing of history and politics that is identical to the theological connection between remembrance and redemption” (Löwy 2005:40). For Udwadia, the word awakens and the word redeems, acquiring a kind of messianic power to bring recognition to resistance. Might his letter constitute, in Benjamin’s terms, the writing of history, a history of failed treatments and subsequent microbial transformations? In awakening to the recognition that resistance “was always there,” might it become possible to redeem the past in service of the future? What, then, might therapeutic intervention look like in an India after antibiotics? “Back to the sanatorium era!” Udwadia exclaimed with a flourish. This was the title of a talk that Udwadia gave on the lecture circuit. “And at times, it feels like that. That there are no drugs left,” he told me. 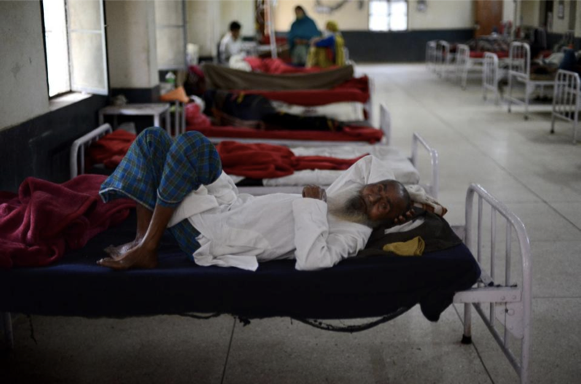 In India, finding hospital beds for drug-resistant patients has become increasingly difficult. A week before coming to Mumbai, I had spoken with Dr. Anuj Bhatnagar, a senior physician at the sprawling Rajan Babu Hospital on the outskirts of Delhi. Constructed in the 1930s to commemorate George V’s coronation as Emperor of India, this former sanatorium has become one of the largest tuberculosis treatment facilities in the country. Although imperial decoration has been replaced with suitably nationalist iconography, the hospital still retains elements of its original open-air architecture. In the most extreme of eschatological visions, a nightmarish future has already taken root in the here and now, but we have failed to recognize it. A critical threshold has been transgressed beyond which lies a return to the dark ages of the pre-antibiotic era. Put simply, the future is past. By contrast, for those who hold to a faith in the technological outmaneuvering of nature, the near future still allows for recalibration. The relation between human and microbe might once again be set right. The limit to the antibiotic era may have been reached, but it has not been exceeded. Rather than a rupture with the past, such visions are suffused by an intensification of a techno-optimistic strain in Indian political thought that can be traced from Nehru to Modi. More commonly, the speculative futures that emerged throughout my conversations in India espoused a kind of weak eschatology or techno-pragmatism. The antibiotic era might be over, but antibiotics may still have a role to play in the days to come. Such visions diagnose a break with a techno-optimistic past, although not necessarily a break with technology itself. The critical difference between this moment and an earlier one – a time in which Nehruvian dreams of science for the people upheld antibiotics as a magic bullet – is that these drugs are no longer deemed to be adequate in and of themselves. The dream of antibiotic cure has spawned the nightmare of resistance, and now is the time of awakening. Here, we might think about awakening in a second sense, an awakening of slumbering potentialities, of forms of dying (coughing blood) and modes of therapeutic practice (sanatorium admission) that had by and large been consigned to the past. At the end-of-days of the antibiotic era, remnants of this past are being revived in response to the threat of resistance. What then might be the role of antibiotics in a post-antibiotic era? “So the drug in and of itself is not useful…?” I began to ask. For those patients who have already exhausted the available drugs, bedaquiline was an insufficient response. Many also feared that resistance would develop against this new drug as well. Bhatnagar had identified a fork in the road: if such combinations could be found, and if bedaquiline use could be strictly controlled, then it might prove an effective addition to the therapeutic armamentarium. If not, then bedaquiline would only spur on the development of further resistance. As was the case in the antibiotic trials of the 1950s, it was once again important to find effective combinations to avoid, or at least slow down, the development of resistance. With each new advance, the same questions seemed to recirculate. One future that Bhatnagar did not anticipate was eradication. I asked him about a recent draft document circulated by the international STOP TB initiative that promoted eradication of the disease. Bhatnagar lightly chided me for my question. “Do you remember the history of the development of the BCG vaccine?” Developed in the early decades of the twentieth century and rolled-out in one of the largest vaccination campaigns in history, the Bacillus Calmette–Guérin (BCG) vaccine has been found to offer minimal protection against tuberculosis. “Now I will develop a vaccine and TB will be eradicated,” Bhatnagar said, playfully mocking his scientific forbearers. Historically, eradication campaigns have depended on the production and distribution of effective vaccines (see Jeremy Greene’s earlier post in this series). Whereas cure has been understood to operate at the level of the individual, eradication depends upon the aggregation of individual interventions in order to produce a population-level effect that is greater than the sum of its parts. In fact, eradication should render the question of cure irrelevant. Yet, through the promissory force of antibiotics, cure and eradication had been sutured together in the therapeutic imagination. Back in Mumbai, I posed the same question about eradication to Dr. Udwadia. 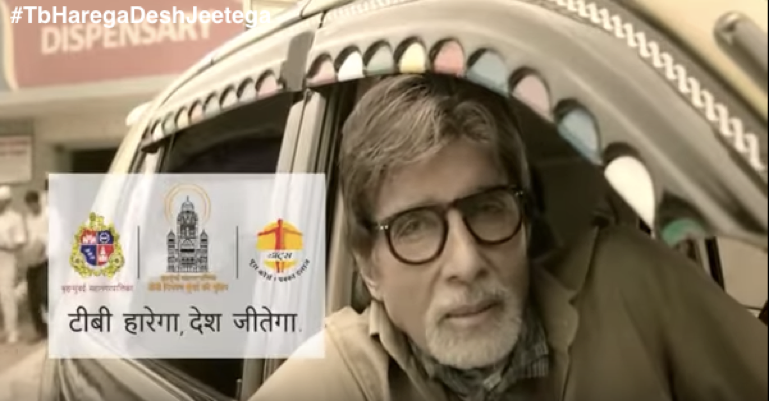 Figure 8: As India’s anti-TB brand ambassador, Bachchan starred in two television advertisements produced by the marketing masters at Ogilvy & Mather, the communications firm behind the “Incredible India” campaign. In one ad, this former “angry young man” of Bollywood assumed the role of an auto driver who hijacks a man and woman on their way to the movies, taking them instead to the hospital. She has been coughing for over two weeks, she might have TB, he warns, but don’t worry: with treatment, she too can be cured. These short clips conclude with the pithy tagline “TB harega, desh jeethega” – tuberculosis will lose, the country will win. Bachchan went on to contrast the therapeutic poverty of the pre-antibiotic past with the resplendent efficacy of the present. “Earlier, TB patients used to be sent to sanatoriums,” he explained. “Nowadays there are good medicines. There is nothing more that you need to do apart from taking medicines on time.” As the line between the pre-antibiotic era and the present blurs, Bachchan’s speech represents a recommitment to the promise of cure. Yet, we might wonder whether such a promise threatens to restore us to our sleep, to a dreamworld in which the therapeutic forms of the past remain dormant and antibiotics retain their efficacy. Bharat Jayram Venkat is a postdoctoral researcher in the Program in Global Health at Princeton University. He is currently at work on a book manuscript, India after Antibiotics: Tuberculosis at the Limits of Cure, an ethnographic and historical study of tuberculosis treatment in India from 1860 to the present. Beginning in the fall of 2016, he will be Assistant Professor of Anthropology at the University of Oregon. Book Forum -- Christian McMillen's "Discovering Tuberculosis"
Venkat B. Awakenings. Somatosphere. 2016. Available at: http://somatosphere.net/2016/awakenings.html/. Accessed April 24, 2019. Venkat, Bharat Jayram. 2016. Awakenings. Somatosphere. http://somatosphere.net/2016/awakenings.html/ (accessed April 24, 2019).